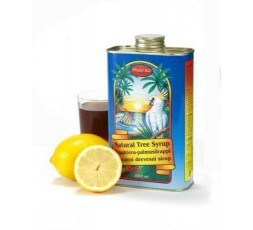 If you prefer you can prepare one batch of Natural Tree Syrup and Lemon Drink to last for the whole day. For one and a half litres of water (approx. 7 glasses) you will need 140ml of Madal Bal Natural Tree Syrup and three and a half lemons as well as the cayenne pepper or ginger. 1. THE FULL DETOX: This is the classic version that has been used by thousands of people throughout the world. Some people, when thinking about fasting for the first time, imagine that they won't be able to make it through seven days but what you'll probably find is that after the second day it just gets easier and easier. The 5-7 day version is also convenient because one 1-litre tin of the Madal Bal Syrup lasts most people 5-7 days. For the beginner, a shorter period is recommended - 5 to 7 days. For those more experienced at detoxing, 10 days is the optimum time. It can be extended up to 14 days but should only be done so with the consent of a healthcare professional. During the total detox programme, drink only the recommended liquids. If you are on any medication do not go off your medication without consulting your doctor. 2. THE RELAXED VERSION: If you are looking for a more relaxed version of the detox, try substituting either breakfast or dinner (or even better, both) with 2-3 glasses of the Natural Tree Syrup & Lemon Drink. Have a healthy meal at lunchtime but abstain from sweets, processed foods, red meat, fried foods, white bread, refined flour, dairy products, coffee and alcohol. These are all food products that tax our natural digestive/cleansing system and inhibit the body's ability to deal with previously stored toxins and wastes. The relaxed programme works by lengthening the time each night that the body can cleanse. It does however take longer to detox this way, which is why the relaxed version should be done for at least one to two weeks and up to a month. The relaxed programme can also be used as an introduction to the total detox, or as a way of extending it. 3. THE "ONCE A WEEK" VERSION: Most people never give their digestive and eliminative organs a break. Day in and day out they place a continuous load on their system. Taking a break "Once a Week" gives our system a chance to rest and cleanse for a day. Going without solid food for a day isn't that difficult and people who have practiced this programme have had good long-term weight-normalization results. 4. 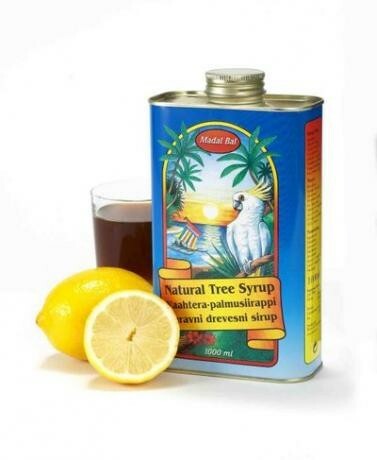 THE MASTER PLAN: Many people who have tried the Madal Bal Natural Tree Syrup have liked the results so much that they wish to make cleansing and the Lemon Detox Diet a regular part of their lives. The total detox incorporates the benefits of cleansing 'Once a Week' plus a twice-yearly multi-day cleanse. Performing a twice yearly multi-day cleanse gives the body a chance to detox and heal itself from the stresses put upon it. You gain the maximum results of the lemon detox, cleansing your body of accumulated wastes and toxins and losing excess weight. Performing the 'Once a Week' version of the lemon detox after a multi-day version helps the body to maintain its toxic free condition and is a great on-going cleansing routine. Get the 'The Lemon Detox Diet Rejuvenation Sensation Book' free when you buy 2 1000ml of the Madal Bal Natural Tree Syrup.